Looking for ideas to keep your children active over Easter? Then why not book them on to one of the two Happy Feet Soccer School coaching camps we are hosting at Crabble. The cost is £15 per child, per day and bookings are subject to availability and places are only guaranteed upon receipt of full payment. Completed forms should be returned in person to the club office at Crabble – the office is open Monday to Friday 9am to 4pm. You also email your form to vikki.pawley@doverathletic.com or give it, along with payment, to one of our community staff at the Happy Feet sessions on Saturday. 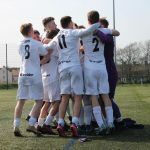 Application forms can also be posted to Vikki Pawley, Dover Athletic Football Club, Crabble Athletic Ground, Lewisham Road, River, Dover, Kent CT17 0JB, but please do not include cash – you will be contacted to process the payment over the telephone. Children should arrive no earlier than 9.50am for registration. 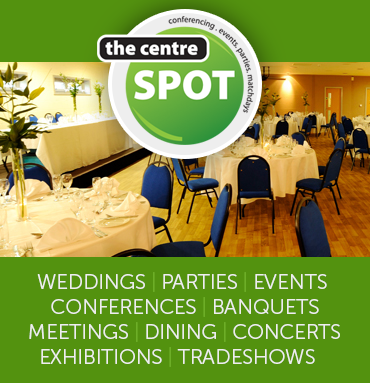 They will need to bring a packed lunch and drinks – there will be a ‘tuck shop’ available at lunch time. Shin pads must be worn at all times while spare/warm clothing is advised should we have bad weather as well as sun cream and a hat should the weather be sunny. 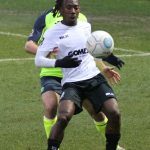 Moussa Diarra’s loan spell at National League South side Woking has been extended until the end of the season. 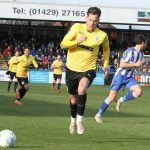 The 29-year-old French central defender, who joined us in July 2018 after leaving Barrow AFC, joined the promotion-chasing Cards at the start of March. 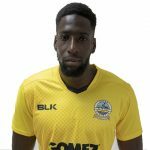 Diarra made 16 National League appearances for us this season, the last being as a second half substitute in the 1-0 defeat at Maidenhead on February 23. 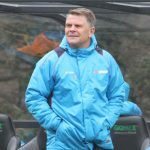 We wish him and Woking all the very best for the rest of the season. 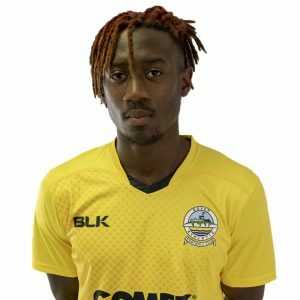 Striker Tobi Sho-Silva has extended his loan stay with Bostik Premier Division side Margate until the end of the season. 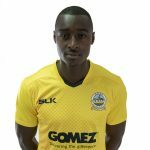 Sho-Silva, who arrived at Crabble on a two-year deal in June 2017, has made eight National League appearances and one in the FA Cup for us this season. Qualification for the Gold Cup is on the agenda this weekend for Athletic’s trio of Kadell Daniel, Anthony Jeffrey and Ricky Modeste as the CONCACAF Nations League qualifiers reach their climax. 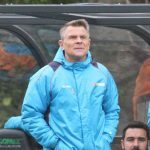 Daniel and the uncapped Jeffrey will be aiming to help Guyana qualify for their first-ever Gold Cup when the Golden Jaguars host Belize at 10:30pm GMT on Saturday 23rd March. Guyana started their Nations League qualifying campaign with a 2-2 draw home draw against Barbados but were later awarded a 3-0 win after FIFA ruled the visitors had fielded two ineligible players. 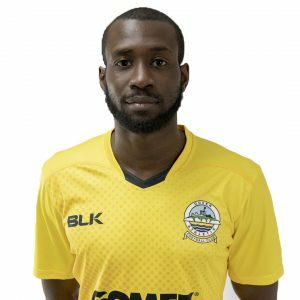 Daniel, on course to make a fourth international appearance, was on the scoresheet in Guyana’s next match – an 8-0 rout of Turks and Caicos, but was unable to prevent his side going down 2-1 at French Guiana in their following game. Modeste will also be hoping his side can seal their place in the tournament later this year when Grenada travel to Puerto Rico for an 8 pm GMT kick off on Sunday 24th March. Grenada lost their first two qualifying matches 10-0 and 2-0 to Curacao and Cuba respectively, however, have given themselves hope of a second Gold Cup appearance with a 5-2 win against Saint Martin. 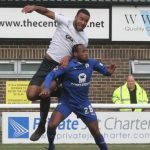 Dover’s winger has netted twice in three appearances for the Spice Boys. The international call-ups mean our National League clash at Dagenham & Redbridge, originally scheduled for Saturday 23rd March, has now been rescheduled for Tuesday 26th March, Kick off 7:45 pm. Good luck Anthony, Kadell and Ricky!